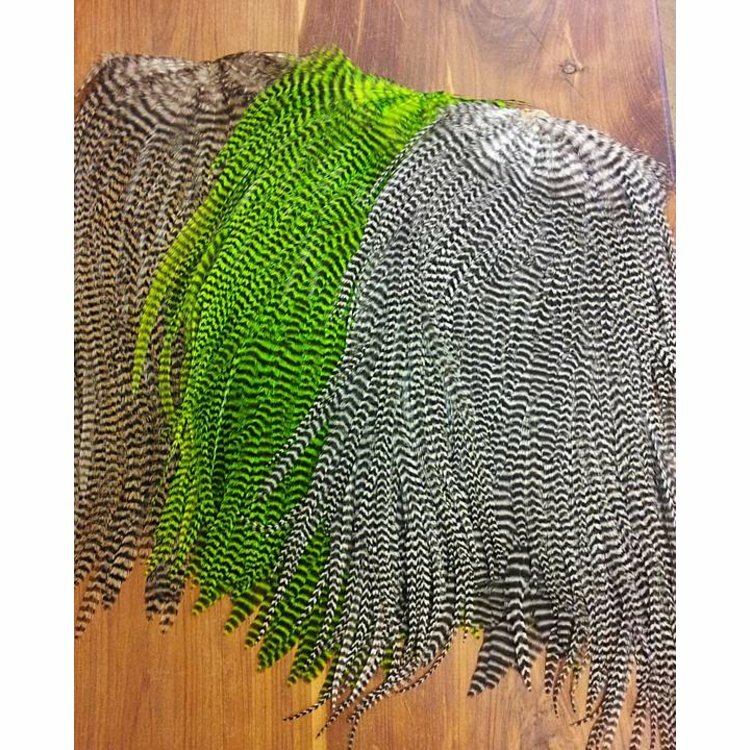 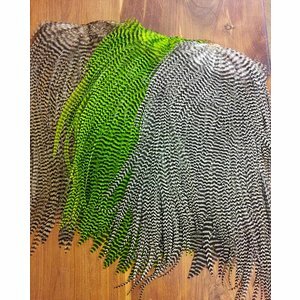 Spectacular long Magnum Saddles feathers are in a range of colors. 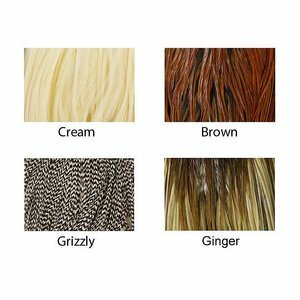 Grade 2 saddle patches are a tremendous value. 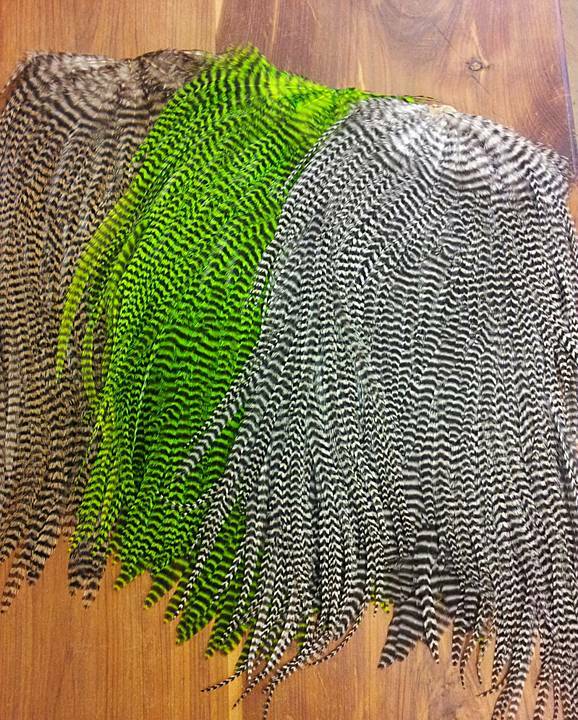 You will find that higher grade feathers have more feathers, longer feathers, and fewer broken tips on feathers. 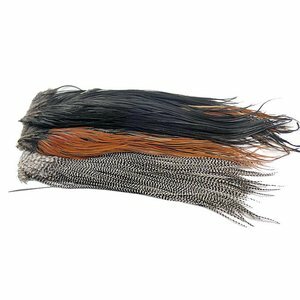 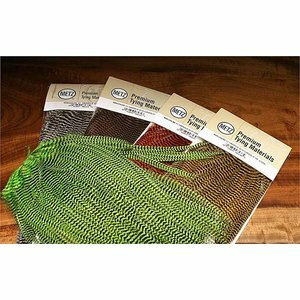 Perfect for Salmon and Steelhead Flies: collars and wings on various flies, Pike and Musky Flies: these long saddles are wonderful to dress large streamers, Please specify color.